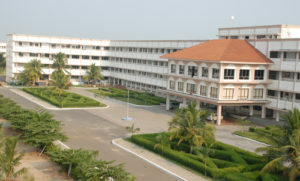 Vivekanandha Dental College for Women, Namakkal was established in 2007, sponsored by Angammal Educational Trust, is the first women’s Dental College in the country. Admissons are Started For 2018. The college is affiliated to Tamil Nadu Dr.M.G.R.Medical University and approved by Dental Council of India and the Ministry of Health, Govt. of India. The main aim of the college is to provide the best opportunity. Vivekanandha Dental College is functioning with the concept of extending its wide knowledge and technical skills to all the women opting for bachelor of Dental Surgery course. Students should have completed their 12th with major as Biology, physics and chemistry. The admissions are based on the total percentage score of the students and the cut off mark.Interested students, can download the application from the college and fill the same. Submit or send it with the Demand Draft for the informed sum to the college. Those students who are selected will be intimated by the college personnel for admission formalities. Medical aspirants, do not miss the opportunity to build your strongest medical career with India’s best college. Start your application process right away and make sure your dreams turn true. WE PROVIDE CAREER COUNSELING, ADMISSION GUIDANCE AND DIRECT ADMISSION IN ALL INDIAN UNIVERSITY ADMISSIONS IN ANY BRANCH, ESPECIALLY WE PROVIDE THE MOST APPROPRIATE GUIDANCE REGARDING VERY BEST PRIVATE UNAIDED MEDICAL, ENGINEERING , BDS COLLEGES IN RECOGNIZED UNIVERSITIES. BDS ADMISSIONS IN CHENNAI 2019 Register Now ! Vinayaka Mission’s Sankarachariyar Dental College (VMSDC),salem ,2019 admissions started. This College was started in the year 1986 and is located 15 kms away from the centre of Salem, on NH 47, Sankari Main Road. The college aspires and strives to keep the campus clean and green creating an integral atmosphere and ambience for the students, free of pollution and conducive to learning. Spread over 10.14 acres and with a built up area of 9590 sq. ms, the college provides its students with the best environment for their holistic development- physical and intellectual. The college is well connected to the nearby cities by road and rail. At VMSDC the College Day, Cultural Day and Sports Day functions are some among the others celebrated every year. The Vinayaka Mission University (VMU) will conduct the All India Level Common Entrance Examinations – 2019(AICEE – 2019) for those andidates who want to take admission into the Medicine, Homoeopathy, Dentistry, Nursing, Physiotherapy, Pharmacy, Allied Health Sciences, Engineering & Technology, Architecture (based on NATA), Management, Computer Applications, Education, Arts & Sciences courses in this university. 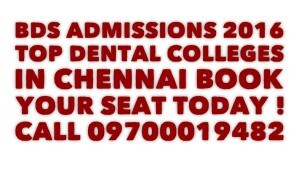 Tagore Dental College, 2019 Admissions Started .Tagore Dental College and Hospital aims to impart high standard of education to promote technical and professional competence with character and personality of the students with sufficient knowledge inputs, to enable the students passing out of the institution to face the challenges in real life situation and is to impart Knowledge and Understanding of the subject, Technical training in all the relative fields to treat all dental illness in general dental practice, Develop the attitude for patient and community care. The institute is established by Tagore Educational Trust. During the end of the curriculum students are given guidance by imminent people in different fields on the various fields and opportunities available after finishing their degree both in India and abroad. 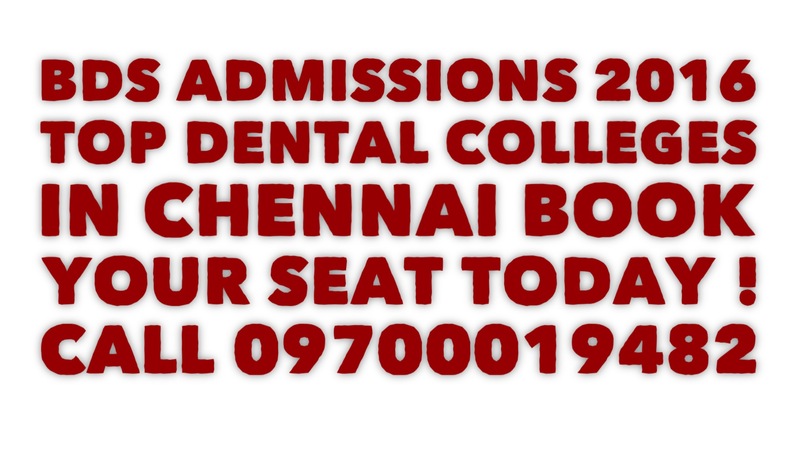 Ramakrishna Dental College & Hospital Coimbatore,2019 admissions started. This college is recognized by the Dental Council of India (DCI) New Delhi and Government of India. The college was set up in 2000 and it has been renowned among the top dental colleges in the country. 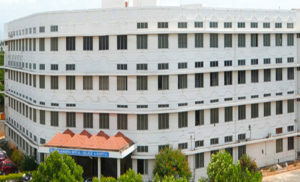 The self financed dental college has been affiliated to Tamil Nadu Dr. M.G.R. Medical University. The college is a part of S.N.R. Sons Charitable Trust along with Sri Ramakrishna Hospital Coimbatore. 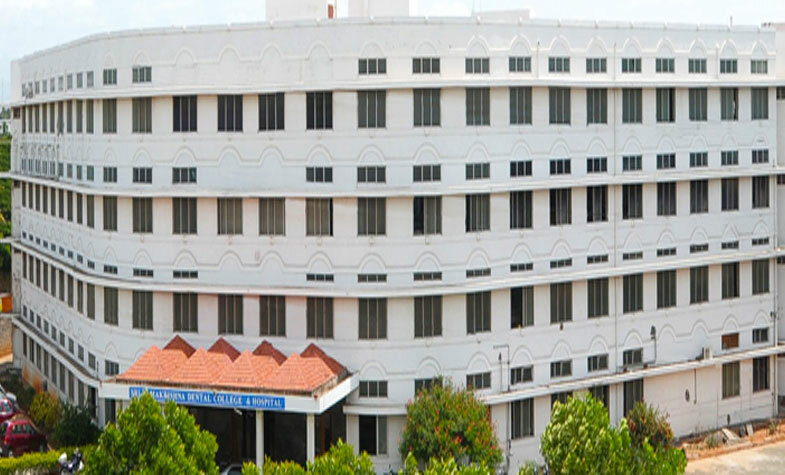 Sri Ramakrishna Dental College Coimbatore offers Bachelor of Dental Surgery (BDS). This college provides various facilities to its students which are well equipped to provide comfortable learning environment. Their vision is to providing quality education and a platform for research activities in all aspects of dentistry.